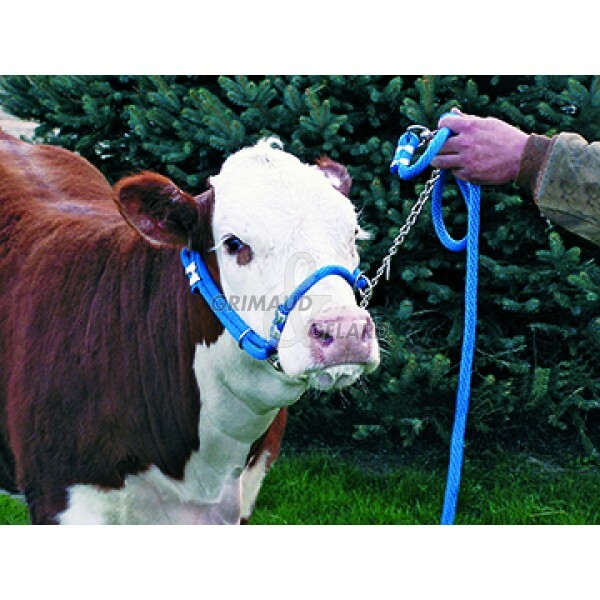 Train, drive and clean your animals with a single halter. Save up your leather halters with this corrosion, water and mould resistant halter. Entirelly adjustable, made with a supple and highly robust braided rope. 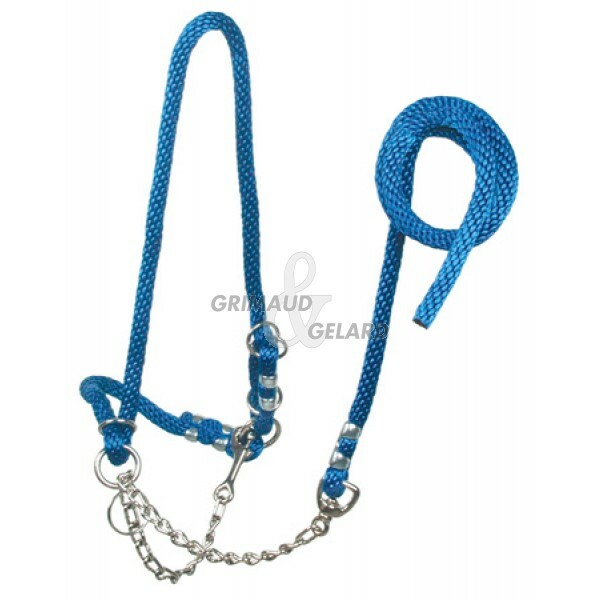 Equipped with a chain prolonged by a large diameter cord providing the best control. An excellent choice for people looking for a strong and lasting working halter.